Today I’ve been writing on glass for the first time! And, on the hottest day of the year, it was hard work! But the whole project, start to finish has been a labour of love. The hand holding a gem that is the star attraction in the window was sculpted by my very talented friend Barbara Macnish – a particularly beautiful thing to have happened as the story is dedicated to her! And it helps bring to life one of the central characters in the story. Intrigued… have a read! Lots of people walking and driving past are already stopping to look and read and it’s great to see their faces light up in response to the colour and poetry beaming out at them. When can we do the next one?! Liz Baddaley is a children’s author and freelance writer for leading UK charities. 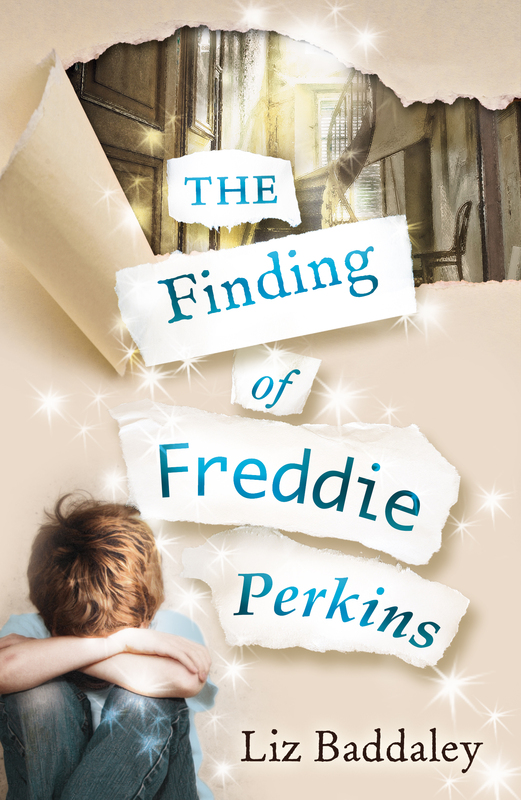 Her debut novel – The Finding of Freddie Perkins was published in May 2013 after a remarkable story of its own and went on to be shortlisted for two awards. She is currently working on her third novel whilst telling some remarkable true stories of hope from all over the world… and undertaking a considerable amount of rabbit care. When you publish a book you connect with many new people as it is picked up in shops, advertised on websites, curled up with on sofas and clutched tightly on public transport. And children and adults meet and get to know the characters you see as friends. I frequently hear stories of new people meeting Freddie… just yesterday I was having a coffee with a friend who had lent her copy to her grandma, only to have her like it so much that it was a while in coming back – because it had been shared with all her friends first! This is not the first time he has asked. He is polite, kind and genuinely interested in my fiction writing as well as the work I do for him. But this time there was a different motivation. It’s like being given a present every time I hear someone loves the book.